A commenter to my previous post titled “Pay For Play” was upset that I had not named the magazine that was trying to sell its editorial to me. To which I replied that there was a reason why decent people do not take names in public. Companies take years to build a reputation and goodwill and it may not be nice to tear it down at one go, even if they have done something wrong. Today I say “to hell with decency” and by the time you reach the end of this post you will know why. Today I received yet another advertorial offer from a publisher called Extension Media. Click the image below so that it opens in a browser. This is part of a page of their advertisement reservation form for a publication called Autodesk Partner Solutions. Read the lines pointed to by the red arrows. The rates for their various display advertising and advertorial packages are clearly listed. There is really not much for me to explain. 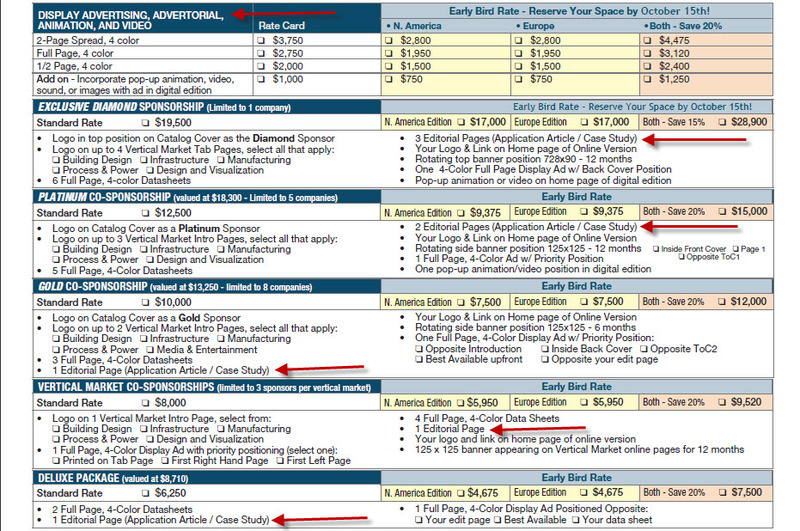 Page 4 explains how much it will cost you, which is quite similar to the numbers in the image above. Incidentally the rates for Advertising and Advertorial are the same: $3750 for a 2 page spread and $2750 for a single page. On the same page, if you study the section “Integrated sponsorships and special advertising programs” you will find that these packages basically offer you a certain number of pages, which you can use to place your Display Ads, Data Sheets or Advertorials. Which brings me to the fun part of this post. Click here to view the online version of the publication. Leaf through it and you will know why Extension Media does not mind disclosing their advertorial rates. This is not a magazine like most of us know it. As the name suggests, it is a catalog completely written by advertisers. The authors of the advertorials are clearly mentioned as the companies themselves. I hope to advertise SYCODE’s products on this catalog one day and write some fantastic things about they “solve customers problems and increase productivity“.